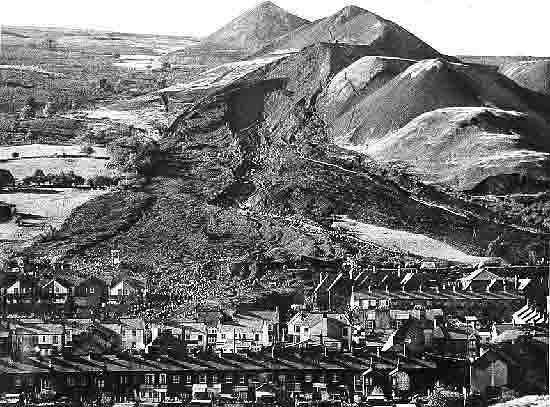 David’s response to the trigger ‘then’ – a moving tribute for the anniversary of the Aberfan disaster. Two fated words the lad had penned: THE END. He suddenly realised he was cold as his eyes began to refocus on the papers he was clutching. Icy fingers trailed a pathway up his spine and he shuddered. He heard a thin scream, followed closely by the sharp sound of splintering glass and then a wraithlike shadow dropped, with a dull thud, onto the roof of a dark blue, A reg. Austin A40 and although he tried to stand up, he couldn’t. For as long as he could remember David Dobson had wanted to be a salesman and he certainly had a gift for talking. His mother often said that he could sell anyone anything, so when he saw the ad in the Free Press for a trainee car salesman at Pearson’s Northbridge Garage, he applied and got it. Pearson’s was the main BMC dealership for the area and Dave soon realised he had found his calling when he was promoted to head salesman of their large showroom on the High Street, where he soon became known as Dependable Dave, a truly honest car salesman, something quite rare in the burgeoning car-owning, social revolution that was the 60s. And the building had had a chequered history. Built in 1845 as a warehouse for storing wool and grain, with it’s original, deep ridged glass roof still in place, it was later used as council offices and because of the abundance of natural light, a lawyer had rented a large section of the ground floor during the late 1800s. Then a wealthy accountant leased most of the upper floor from 1910 until 1925 before it closed for a decade because of unspecified structural problems. It then re-opened as a Reading Room and a Miner’s Welfare Hall. Jed Pearson bought it in 1950, as storage for new cars, then a showroom, when the vast floorspace and glass roof was fully utilised, and both Dave and Tom Dixon, the sales manager, often boasted that between them they could park 42 cars in what would normally be floor space for 38. The worst part of his job was having to do the Tuesday late night stint, twice a month, especially when it was slow. It had been dark for hours and the pavement outside still twinkled with reflected Christmas shop lights as people scuttled by, on their way home from work or maybe just going out for the evening. He’d had only 2 callers, tyre kickers, he mumbled as he read with envy the logbook of a mint condition, racing green, Mini Cooper S, before putting his feet up, on the desk, then tipping his chair back, against the wall. Wow, what on earth was that? He thought as his eyes flew open and he glimpsed something falling, on the far left of the showroom. When he attempted to stand, the chair held him fast until the back legs suddenly went out from under him and he finished up in a heap on the office floor. He scrambled to his feet in a daze, steadying himself against the door jamb before gingerly zigzagging his way through the car filled showroom, towards the midnight blue, Austin A40. Then he reached out, bracing himself against the bonnet of a red Morris Oxford, dreading what he would find. He blinked and rubbed his eyes but saw nothing. No broken glass, no smashed car roof, no blood, nothing. He then systematically checked every car in the showroom, just in case he had missed something. Nothing was out of place. It was all exactly as it had been 2 hours ago when Tom had gone home and he was left on his own. He staggered back to the office, picked up the phone and immediately put it back. No! How could he explain this, they’d be sure to say he’d been hallucinating, dreaming, drinking or …probably more like it, going nuts. No! He’d make himself a strong coffee and think it through. Scratching his head he checked the floor around the A40 several times more and then the whole showroom, again. He had seen something, hadn’t he? He wasn’t going mad, was he? It was now 8.53, he’d had enough and decided to go. As he drove slowly past the King’s Arms he could see his mate, John, leaning on the brightly lit bar chatting Margaret up, but Dave didn’t care. He was so on edge he felt that if had one pint, he would probably keep going until he was blotto and then he might blurt out to John what had happened and that would mean everyone would know and he’d be a laughing stock. The scene was replayed, over and over, during his drive home and much to his annoyance, his mother was in. Tuesdays were usually Bingo nights but tonight she felt queasy, she said, as she lathered butter on his toast and stirred his beans. “Mum, what…?” he started, then changed his mind. “What, what?” she answered, sharply. “Oh nothing. Don’t worry about it.” He said, sitting down to eat. “I’m not worried, or I wasn’t until you told me not to be. What’s up? Something happened at work?” “No mum, leave it. I’m tired, that’s all.” And he tucked into the plate of beans on toast. But she knew her son, he had something on his mind and he would tell her when he was ready. He didn’t sleep well at all and awoke with a jolt around 4.30am. He kept hearing the harrowing scream and decided to get up and make a cup of coffee. An hour later his mother joined him and she asked again what was wrong. So, he reckoned, if Uncle Percy had seen a ghost, told people about it and was Ok, maybe I will be too. He arrived early to work Wednesday morning, hoping to see Tom before the others arrived. “Er, wwell, what sort of a night did you have?” Tom asked anxiously as soon as Dave walked through the showroom doors. “See anything interesting, did you? Something unexpected maybe?” Tom queried. “Yes, I did and I hardly slept. I thought I was going mad, I’m not, am I?” Dave pleaded. “We didn’t want to tell you about it, just in case you didn’t see it because not everyone does, but… the 28th December is the anniversary of…well something pretty distressing. It appears that during the 1920s part of this building was leased by an accountant and his office was on the second floor, overlooking this glass roof,” he pointed over to where Dave had seen the…? 30 odd like-minded people were gathered in the showroom on the next anniversary of the little boy’s death and to everyone’s relief, he was never seen again. Do you still cry those salty tears. Ange’s response to the ‘surreal’ trigger. I pulled back the heavy faded curtains, unfurling particles of dusty memories from their textile prison. Floating pauses of my life. From this very window I would gaze through blurry eyes up at the stars. Those brilliant twinkling shapes so very far away. I had to squint to focus whilst resting an unsteady hand on the worn wooden window frame. My whole life, up to recently, seemed to be a form of assisted support. This window had held my dreams, heard my weary thoughts and smelt my toxic pain. The drink had placed my life in a shoebox. Glasses of Shiraz, shots of Tequila and pints of Guinness replaced my family, friends and work. Now, it’s different. No longer do January’s icy cold days require an armour of liquid comfort. Instead, the Wintersweet provides my soul with delicious nourishment. And soon the gloriously happy face of the daffodils will appear, carpeting the ground with uplifting song. As I turn from the window, looking into the stripped bare room, a knowing smile breaks over my face. For now we are ready for the renovation. Purging the hardened oppressive décor for a fresh open interior. Never again will I see the lifeless, Common Oak Moths that once littered the windowsill. They are gone, gone for good. Barrie’s response to the trigger ‘Surreal’.